A report last week shed light on the surprisingly positive impact marijuana dispensaries have had on Denver, Colo. properties, raising their values US$27,000. But as Canada prepares for the legalization of pot, will dispensaries have the same effect on real estate in the Great White North? Christopher Alexander, executive vice president and regional director of REMAX Integra, thinks they will. For one, he expects crime rates to drop—provided the government doesn’t overprice the product—because, given the option, consumers will opt for the legal route of purchase. “Consumes of marijuana will rather go to a store rather than risk criminal punishment by going to a drug dealer,” said Alexander. “There have been raids [in Toronto], but property values are still doing very well. What’s important to point out is the convenience factor of things. Concerns that people would start growing pot in houses after it’s legal and what value that would have on their property, they’re unfounded because, given the convenience factor of going to a store rather than an illegal means, the majority of society wold prefer to keep it legal. Alexander expects the kinks to be worked out within the first year of dispensaries opening, but he’s adamant that crime rates will drop. He also says that the economic spinoff in the neighbourhood could contribute to increased property values. 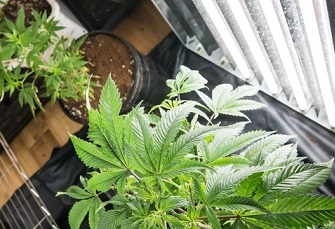 However, Erica Mary Smith, broker of record and co-founder of Stomp Realty Inc. in Toronto, believes marijuana dispensaries will adversely affect property values. Smith likened the proximity of legal dispensaries to marijuana grow-ops and doesn’t believe prospective homebuyers would be pleased upon hearing the disclosure from sales agents.